The new flagship of Apple, the iPhone smartphone XS Max, visited the well-known benchmark AnTuTu and set a new record there. 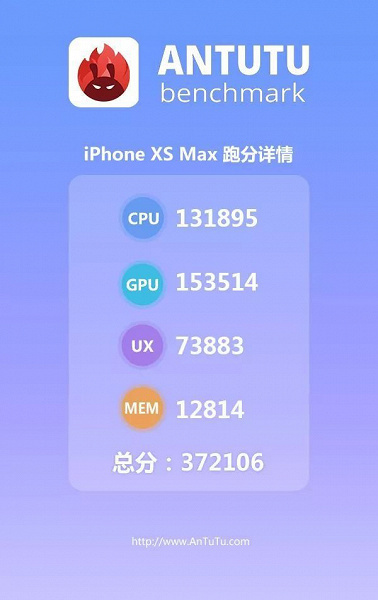 In tests AnTuTu iPhone XS Max scored 372,106 points. He was a little ahead of the iPhone XS in 363,525 points. The smartphone runs on the latest A12 Bionic chip. For comparison, the previous model A11 Bionic gained 230,000 points in AnTuTu. The most powerful Android smartphone lags behind the new leader by almost 70,000 points – Xiaomi Blackshark on the Snapdragon 845 chip scored 292,887 points in AnTuTu. 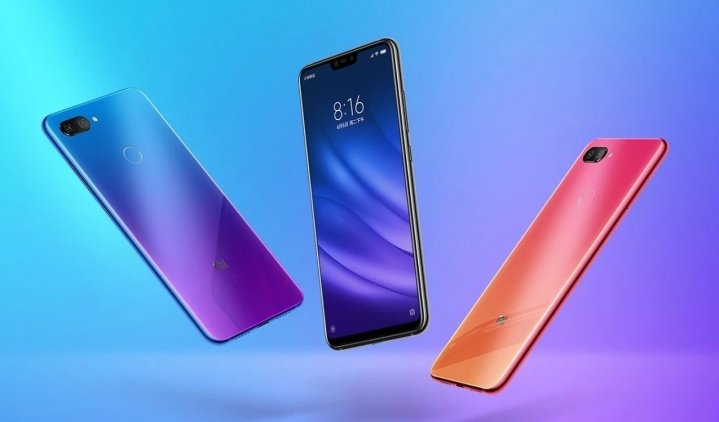 Xiaomi last week unveiled a new Xiaomi Mi 8 Lite (Mi 8 Youth) smartphone in China. Now, it seems that the manufacturer is preparing for the global launch of the device. Xiaomi has published a teaser Xiaomi Mi 8 Lite on the official page on Twitter. Unfortunately, the manufacturer did not disclose the exact date of the announcement. Xiaomi just mentioned some features of the device and asked fans where it is best to show the novelty first. The smartphone received a 6.26-inch IPS-display with a cut-out and resolution of Full HD + (2280 × 1080p). Inside, the same chipset is installed as in Xiaomi Mi 6X – the eight-core Snapdragon 660 with a frequency of 2.2 GHz. The device was equipped with 4/6 GB of RAM, 64/128 GB of ROM, a 3350 mAh battery with support for fast charging Quick Charge 3.0 and a dual main camera of 12 megapixel + 5 megapixel. Recall that in addition to Mi 8 Lite, Xiaomi is going to present a Mi 8 Pro smartphone with a subscreen scanner in Europe. 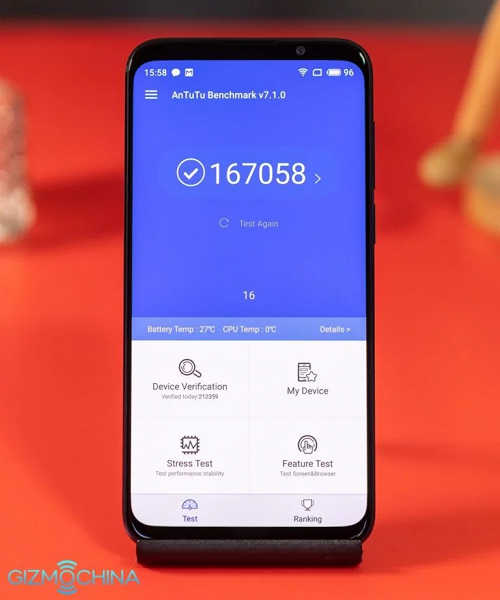 The company Meizu has just presented its new device Meizu 16X, and the Chinese journalists from Gizmochina have already managed to test the smartphone in the popular Geekbench benchmark. Judging by the published photo of the test results, the Meizu 16X based on the Snapdragon 710 processor scored 167058 points in the benchmark. For comparison, the source cited the results of tests of devices on a Snapdragon 660 chip. Their average is at around 120,000 points. Meizu 16X is equipped with a metal case, a widescreen 6-inch Super AMOLED-screen with a resolution of 2160 * 1080 pixels and a fingerprint scanner under it. The smartphone was equipped with 6 gigabytes of RAM and 64 or 128 gigabytes of flash memory, depending on the version. Manages the new Android OS 8.0 Oreo with Flyme 7.5 shell. The built-in 3100 mAh battery with fast charge function mCharge 4.0 has a power of 24 watts. USB Type-C port, GPS modules, dual-band Wi-Fi and Bluetooth 5 are available. The Meizu 16X main dual camera has got 20 and 12 megapixel image sensors. There is a phase autofocus, optical zoom and branded ring flash. The front camera was equipped with a 20 megapixel module with a fixed autofocus. There is a face recognition function. The price of a smartphone starts at $ 306. Xiaomi has released a global stable version of MIUI 10 for six more smartphones. A few days ago, the company Xiaomi released the first global stable version of MIUI 10 for the budget smartphone Xiaomi Redmi S2. Now there is information that six more smartphones have joined him. 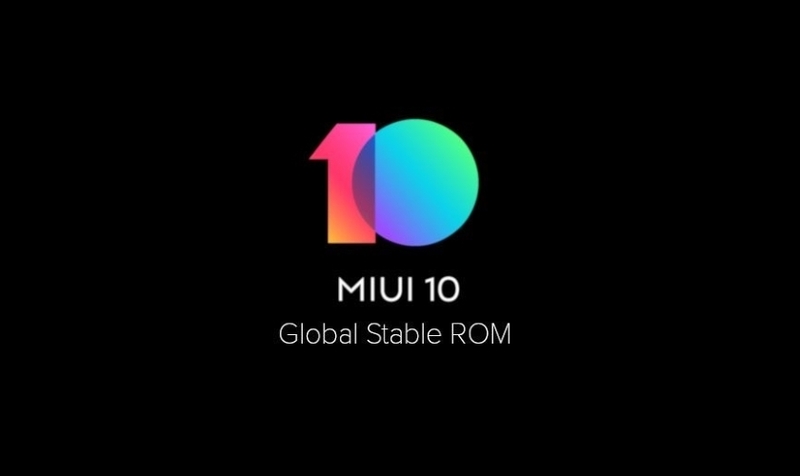 The manufacturer announced MIUI 10 Global Stable Rom for new devices. The list includes Xiaomi Redmi Note 5 Pro, Xiaomi Mi 5 / Mi 6, Xiaomi Mi Mix / Mi Mix 2 and Xiaomi Mi Note 2. Unlike the Chinese versions of the firmware, there are Google services in the globalka and there is support for Russian and Ukrainian languages. The main innovation of the new software has become a completely redesigned user interface. Also, the developers of the company added AI functions for the camera. In addition, artificial intelligence is built into the system. He examines the user’s habits and open faster the necessary applications. The new version of the software began to distribute to the device regionally. So you have to wait a little while for your smartphone to receive the OTA update. Representatives of OnePlus officially confirmed that the successor to OnePlus 6 will receive a fingerprint scanner built into the display. In the screenshot of the lock screen, the company also hinted at the likely date for the announcement of the novelty – October 17th. Initially, the subscreen scanner was planned for last year’s OnePlus 5T, but at that time the technology was not ready. The introduction of a new generation of sensors had to be postponed until the release of OnePlus 6T. Due to the different location of the components, the case will be 0.45 mm thicker than the OnePlus 6. Without a sensor, the smartphone will feel more solid in the back. At least, so says the manufacturer. The flagship will receive top features, including a Snapdragon 845 processor and up to 8 gigabytes of RAM. Other features are only rumored. For example, photographs of the proposed OnePlus 6T box from a previous leak indicate a small drop-shaped screen, like the Oppo R17 / R17 Pro. Until the end of October, the OnePlus 6T is already on sale, with an estimated price of $ 550, which is $ 20 more than its predecessor. Fully updated flagship OnePlus 7 is expected in January next year. Popular resource “9to5Tak” shared information about the name of the new 6.5-inch iPhone. 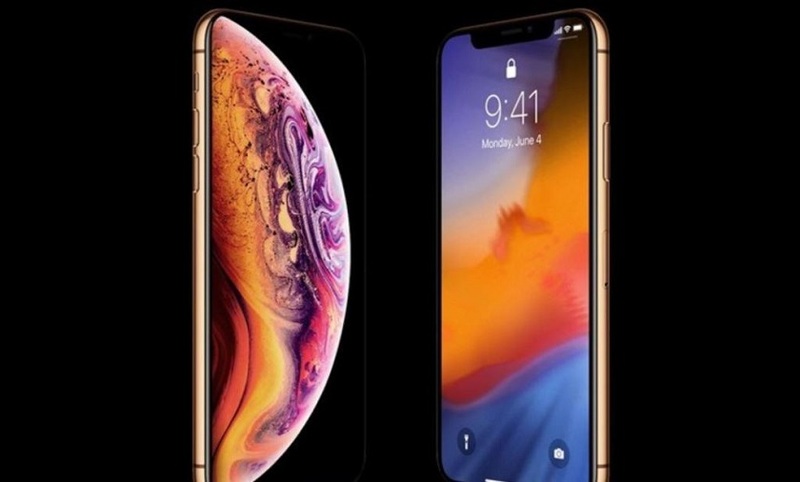 Last week, the publication said that the regular version of the iPhone will be called the iPhone XS and, of course, everyone thought that the larger version would be called the iPhone XS Plus. Apparently, this is still not the case. According to the new report, the older model will be named with the prefix Max. This is unusual for a company and it is not yet clear why it will take such a step. Nevertheless, we will find out all the details already at the presentation on September 12. 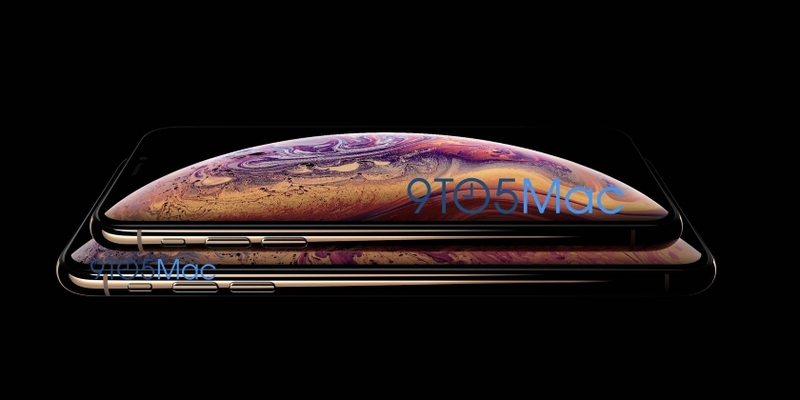 According to rumors, iPhone XS Max will be equipped with a 6.5-inch OLED-display. In addition, the novelty will receive a new Apple A12 chipset, 4 GB of RAM, a dual camera and, presumably, a version with two sim-cards. A new render of the iPhone XS has appeared on the Web. 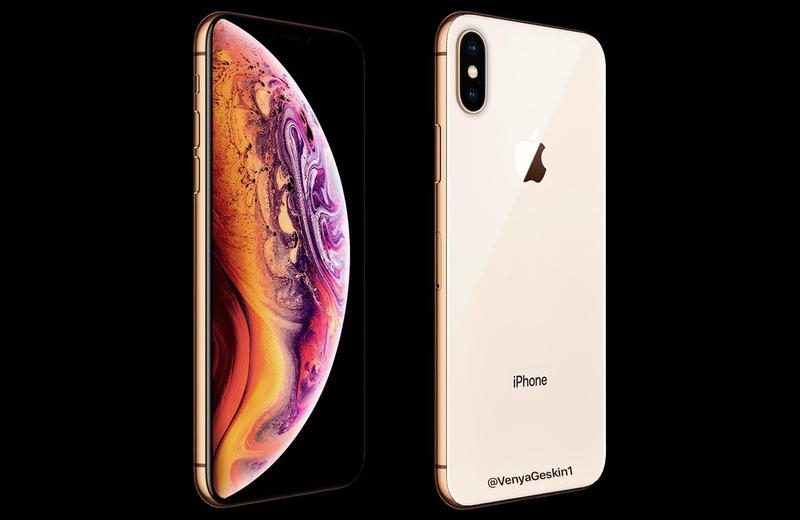 On Twitter, the famous insider Benjamin Geskin has a new render of an unannounced iPhone XS smartphone. The iPhone XS has a frameless space design, a very slim gold-colored case, a cutout on the display and a double vertical camera. There is a rumor on the Web that Apple’s new flagships will not be the iPhone X and iPhone X Plus, but the iPhone XS. This applies to models with displays of 5.8 and 6.5 inches. It is still unknown how the version with a 6.1-inch LCD display will be called. The announcement of three new products is expected on September 12.